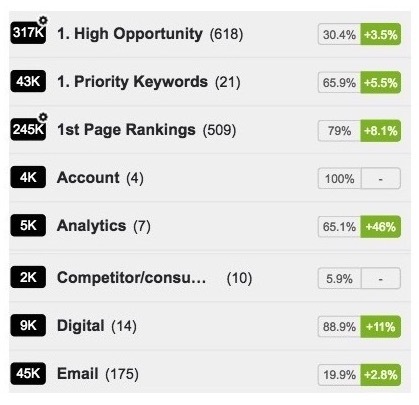 How organizing the keyword portfolio can help in managing an SEO campaign. You can use any labeling that you find helpful in organizing your portfolio. A keyword can be simultaneously part of as many groups as you need. Smart groups function as permanent filters. Due to their dynamic nature, they can be extremely useful in helping you keep track of the changes within your portfolio. All the keywords that satisfy the criteria are added to the smart group. 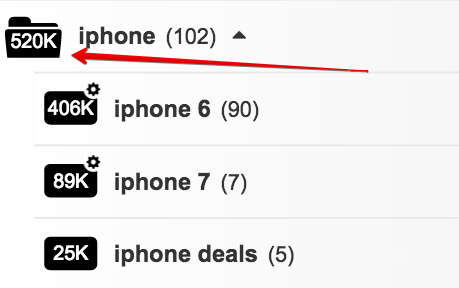 From then on, keywords will be automatically added or removed from the smart group as they satisfy or fail to satisfy its set conditions. 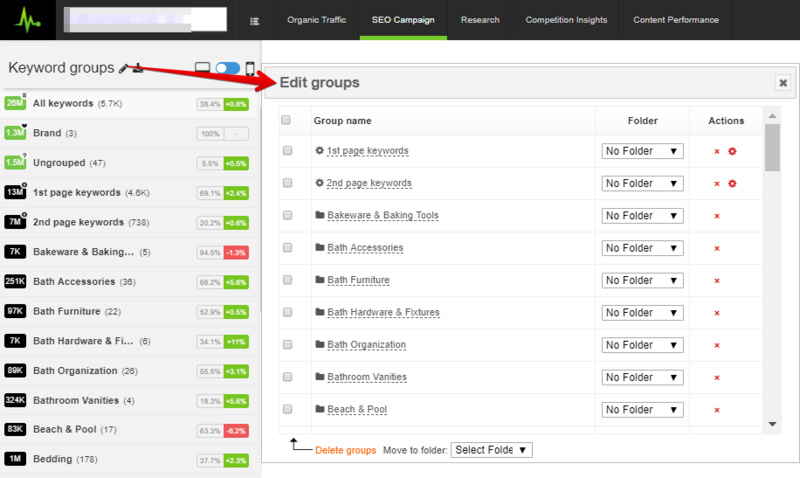 You cannot therefore manually add/remove keywords to/from smart groups. We highly recommend using groups, smart groups and/or folders, so that you can organize your keywords to the level of granularity you consider most suitable and make the most out of the platform. * For an improved experience, we have limited the 1st level groups to 100. You can still use more groups, but you would need to use the folders and subgroups combination.